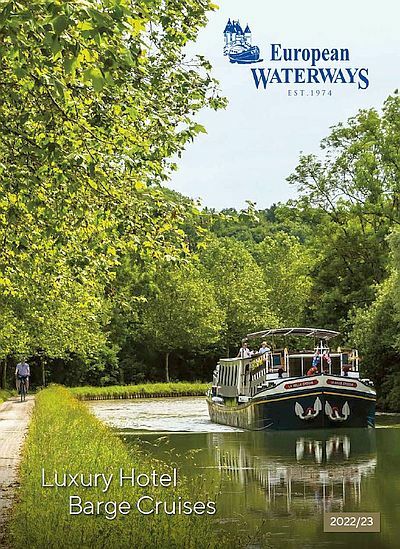 Home to gently rolling green hills, meandering waterways, and medieval villages straight out of a fairy tale, Burgundy is one of our top destinations for cruising. Oh, and did we mention the wine? If you’re any sort of oenophile, Burgundy is a dream come true. On any and all of our itineraries on the Burgundy canal, you can expect to encounter the local vintage at every turn! Here are 7 of our favourite wine experiences in this stunning region. What would any trip to Burgundy be without a sip (or several) of the fruit of the region? Along our way down the Burgundy Canal, we’ll be making stops at some of the region’s oldest and most famous wine cellars, where you can literally taste history. Located in the northern Burgundy region of Chablis, the wine-making philosophy at Domaine Jean-Marc Brocard can be summed up in three simple words: precision, strength, and freshness. This family-owned winery focuses on an essential understanding of the terroir – the individual characteristics of land, soil, and climate that determine a wine’s character. A one-hour tour through the cellars, conducted by the Domaine’s sommelier, reveals the local secrets and magic of winemaking in this remarkable region. With heritage stretching back nine generations, Bounchard Père & Fils is one of the oldest wine estates in Burgundy. The winery is based at the Château de Beaune, a magnificent former royal fortress that dates back to the 15th century. Up to ten metres below the château, the wine cellars here make for a fascinating tour. Don’t forget to check out the winery’s collection of wines from the 19th century – over 2,000 priceless bottles! You won’t find wines from this family-owned winery at any retail store or wholesaler. That’s because Château André Ziltener believes the best routes from producer to connoisseur is ‘from cellar to cellar’. You can get a taste of the Ziltener family philosophy at this elegant château, which was built on the foundations of an old Cistercian abbey. The magnificent ivy-covered 18th-century Château de Chaimrey overlooks some 95 acres of vines, with 38 of those acres located within the distinguished Premier Crus appellations. Known for its fresh and lively whites and silky reds, Château de Chamirey has been producing quality wines for five generations. A peek inside the winery cellars reveals the superb craft and art of Burgundian winemaking. Touring the cellars is also interesting, but don’t forget there’s also a lot going on above ground too! En route to Beaune, the charming medieval ‘wine capital of Burgundy’, you’ll encounter this intriguingly named vineyard known for its exceptional Pinot Noir grapes. According to an old story, the founder of the Carmelite order Domestiques de la famille du Saint Enfant Jésus foresaw the birth of Louis XIV, the King of France. Upon the birth of the future Sun King, the vineyard, which belonged to the Carmelite order, adopted the name ‘Vigne de l’Enfant Jésus’. Whether or not you believe the story, you’ll be enchanted by this beautiful and historic vineyard. In the northernmost part of Burgundy you’ll encounter the famous town of Chablis, surrounded by vineyards producing dry white wines mainly from Chardonnay grapes. With its gently rolling hills and lush forests, this region is a beautiful place and your expert wine guide will point out the best of it during a day of fascinating exploration and, of course, delicious wine tastings. Burgundy is extremely proud of its wine heritage – and justly so. On your cruise through this region you’ll get an insight into the deeply-rooted traditions of Burgundian wines. Nowhere are these traditions more visible than among the Confrérie des Chevaliers du Tastevin. Since 1934, these ‘knights’ have devoted themselves to promoting Burgundy – its wines, its cuisine, its festivals, its folklore, and its traditions. The seat of this Burgundian order is at the Château du Clos de Vougeot, a historic Cistercian winery inside a beautiful 12th century castle. Though the château no longer produces wine, it is certainly worth a visit. No matter which cruise through Burgundy you may select, you can be sure you’ll experience at least one of these oenological gems. Even better, you can quaff the local vintages and nibble on flavoursome local cheeses as you cruise gently down the idyllic canals of Burgundy.